Number 1 in a series of posts dedicated to playful exploration of math concepts, incorporating visual arts, experimentation, discussion, collaboration, and above all fun! Intended for K-2, but feel free to try out with higher grades. Distribute copies of Image 1 (7 dot cards) to students. Depending on time and preference, you may cut sheets up to give students individual cards or up to 4. Students may come up with something like these. Have students share their revised dot cards with classmates, explaining designs in their own words. To practice, have students tell the story of sample images or selected dot cards from your class. Feel free to give them prompts (I see.. I imagine.. I think..) and steer them away from numbers; we’ll get to those later! Next, math! Math has been happening all along, but here comes the more commonly seen expressions of it. Using scratch paper or pages in a math journal, ask students to write out designs as addition problems. What would be an answer for all these different problems? 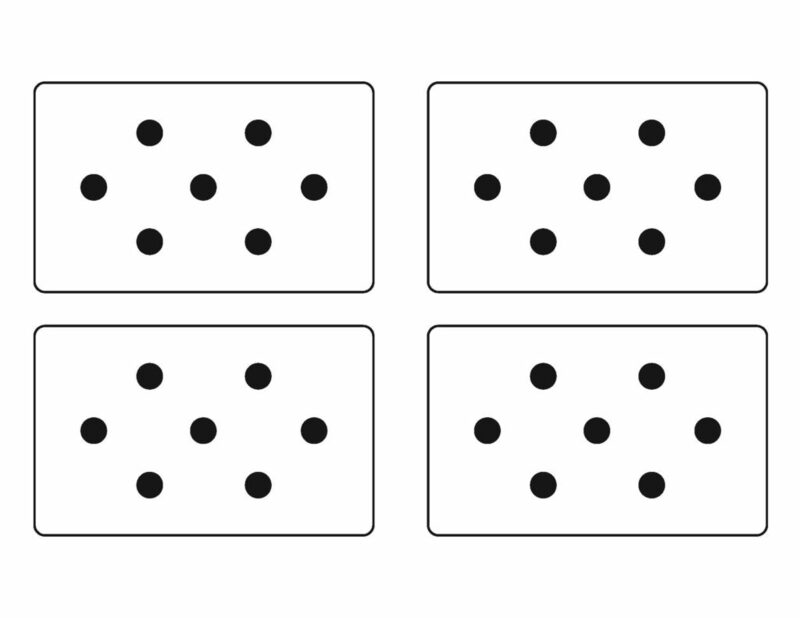 Hopefully, students would come up with the number 7, as there are 7 dots on each card. • If using a math journal, students can glue dot cards and write problems next to them. • What’s the highest number of addends that you can use, without repeating a number? Have students share their math. Discuss the multitude of ways 7 was shown. 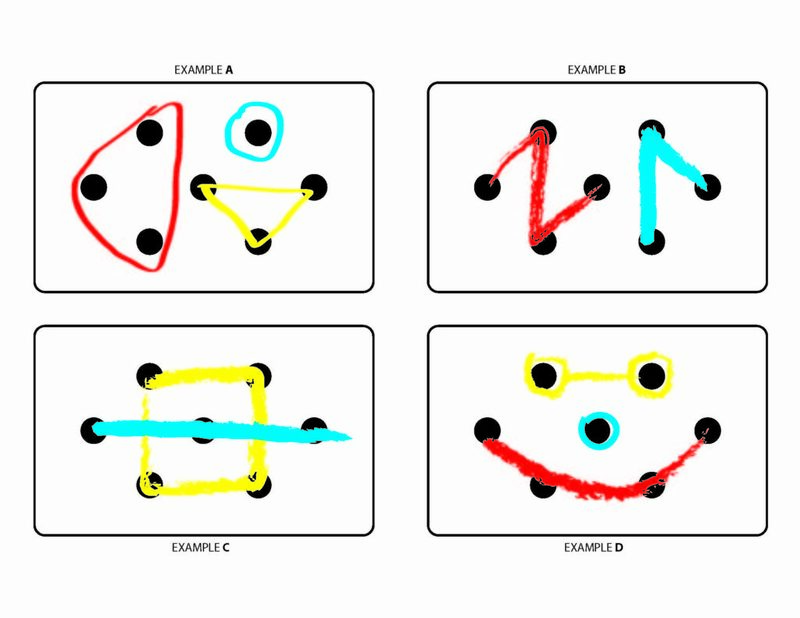 Discuss the value of multiple representations of the same concept. Is anyone’s better? More correct? Wrong? Discuss! • For additional ideas (see what I did there? 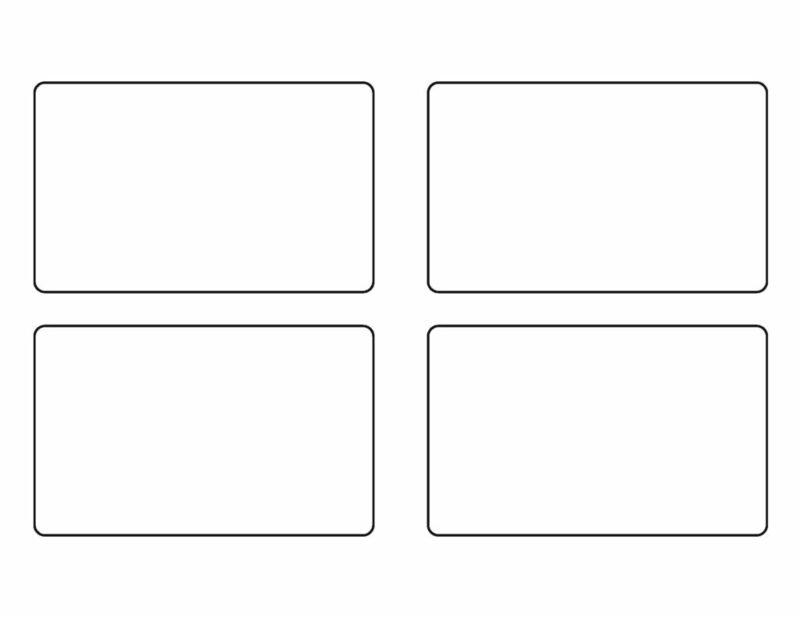 ), search online for “dot cards” and “subitizing” activities. I plan to use this activity as a number talk with my 6th grade students. Thank you very much for sharing.